Meet Yeti, Odlin, Sampson, and Apolo: four of the rarest big cats in the world! 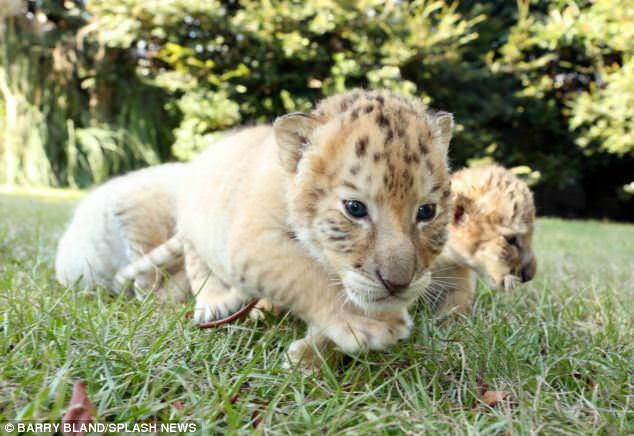 These adorable brothers are ligers—lion-tiger hybrids. Ligers are extremely rare. There are only about 1,000 of them in the world, and most of these animals live in captivity. Yeti, Odlin, Sampson, and Apolo are even rarer than other ligers. 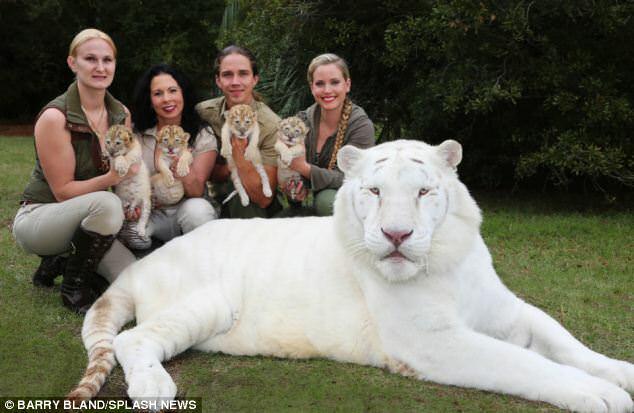 They’re believed to be the first white ligers ever born! The brothers’ parents are Ivory, a white lion, and Saraswati, a white tiger. 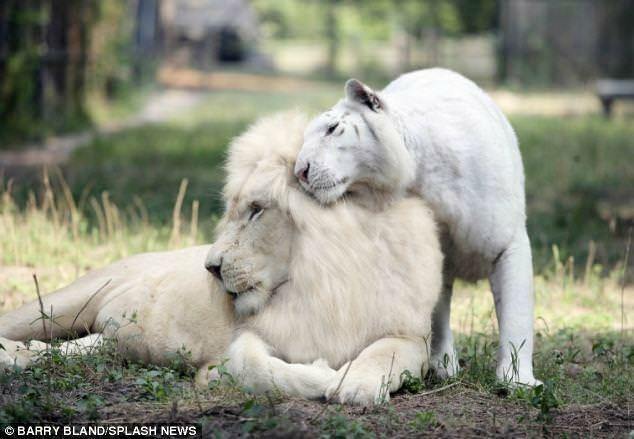 White lions and tigers are almost as rare as ligers—there are just 1,200 white tigers and 300 white lions in the world. Ivory, Saraswati, and their cubs live at the T.I.G.E.R. Sanctuary in Myrtle Beach, South Carolina. This sanctuary has successfully bred ligers before. One of their ligers, Hercules, is the biggest cat in the world according to the Guinness Book of World Records. Hercules is 922 pounds, but despite his big size, he’s still a sweetheart who loves playing with his handlers and his new nephews. Hercules’s nephews may be tiny now, but soon, they’ll be just as big as their uncle. The liger cubs love swimming like tigers and are sociable like lions. They also have their own unique personality traits. Apollo is the smallest of the four, and he also behaves the most like a house cat. The little animal loves curling up with his handlers and havingthem pet him. Yeti is the most boisterous of the four, and he always wants to be the center of attention. He’s also the biggest of the four cats—Dr. Antle thinks that he may end up even being bigger than his uncle Hercules. By the time they’re two years old, Dr. Antle believes that all four cats will be at least 10 feet tall and weigh around 750 pounds. It’s hard to imagine these tiny animals getting that big! 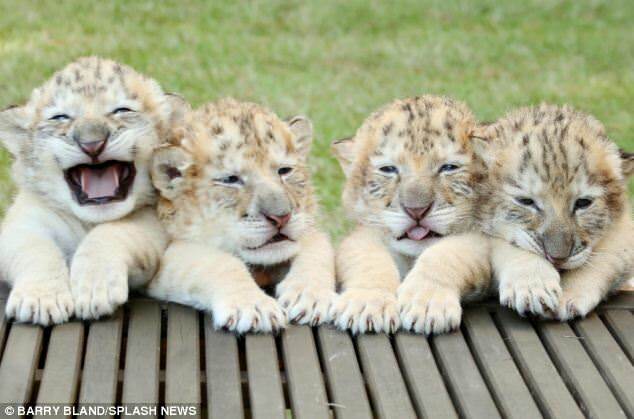 These four liger cubs are truly one-of-a-kind. 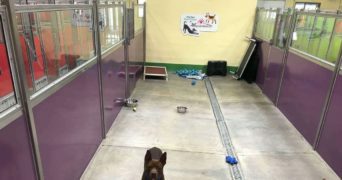 Check out the video below to see the adorable cats in action!